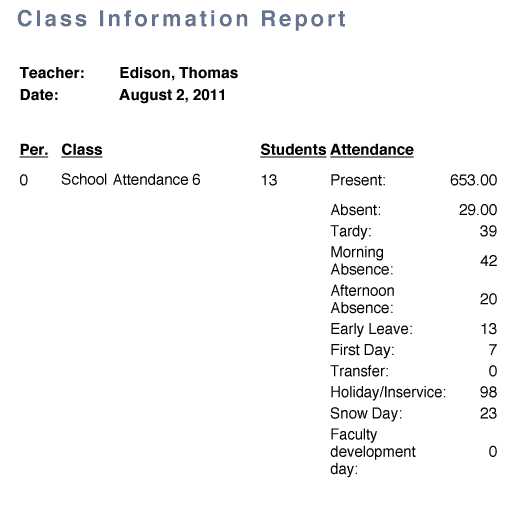 With Gradelink there’s no paper chase at report card time. 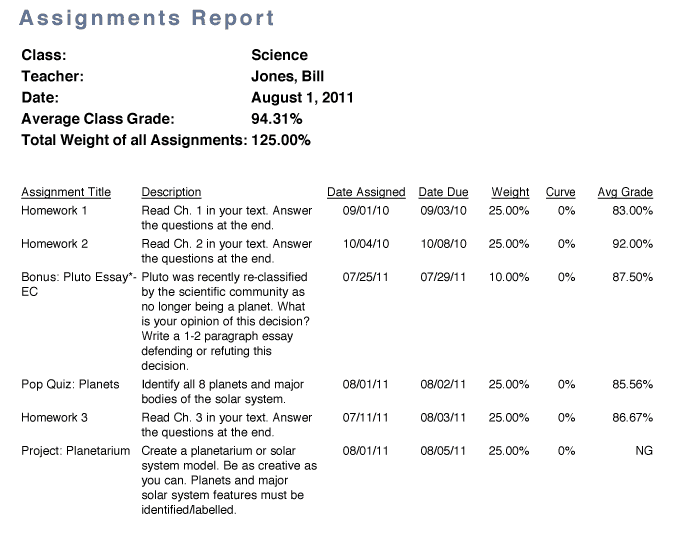 Instead, teachers simply conclude their classes in Gradelink, a two-click process for each class. 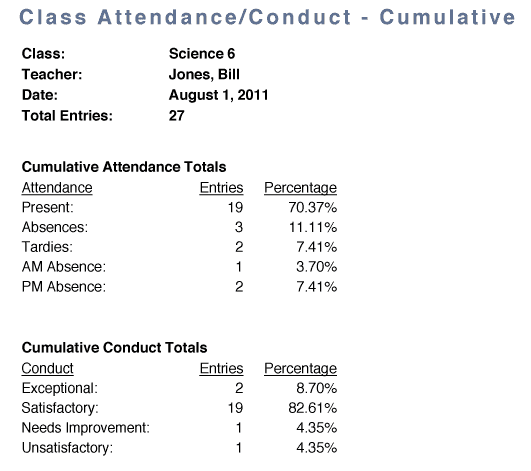 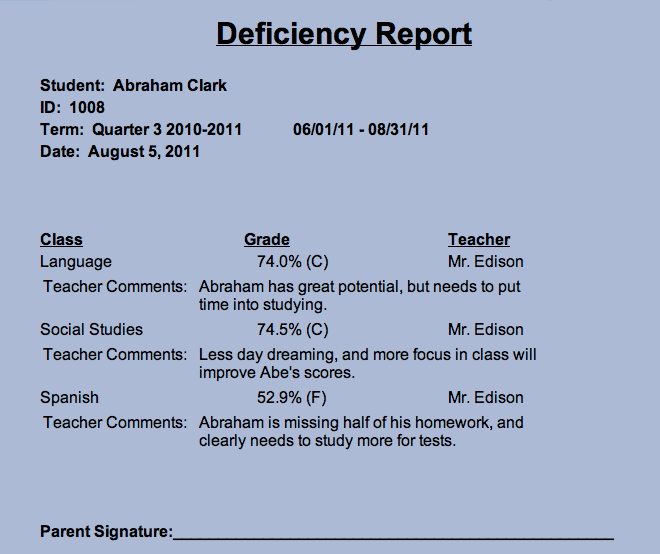 Then, administrators can display the report cards right in their browser. 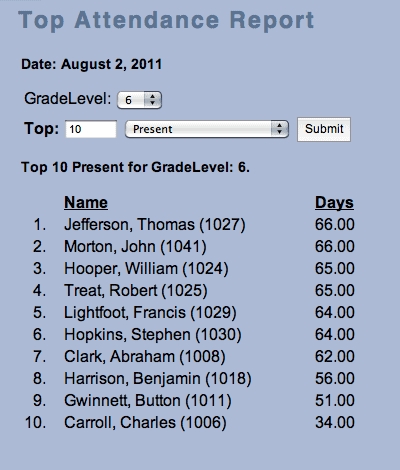 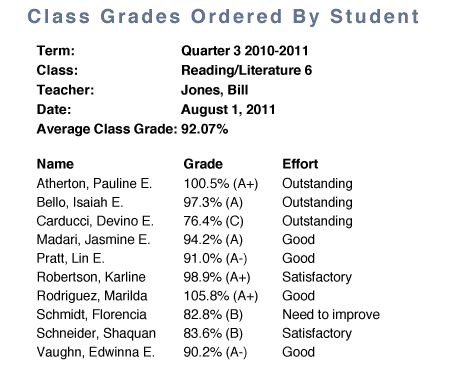 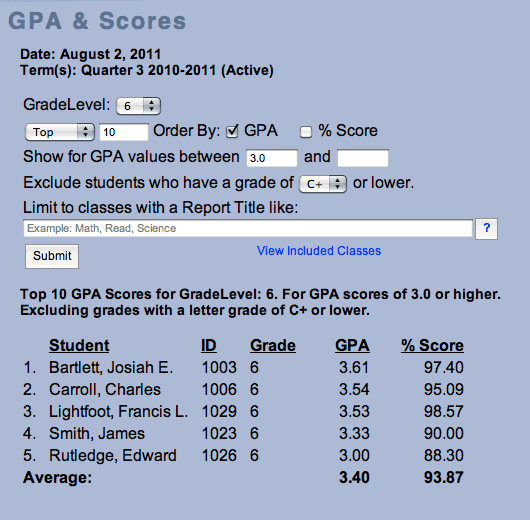 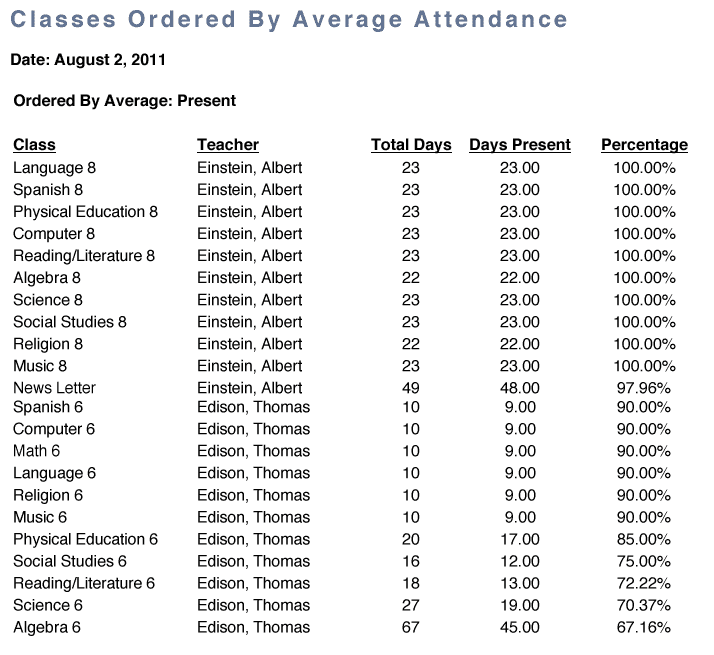 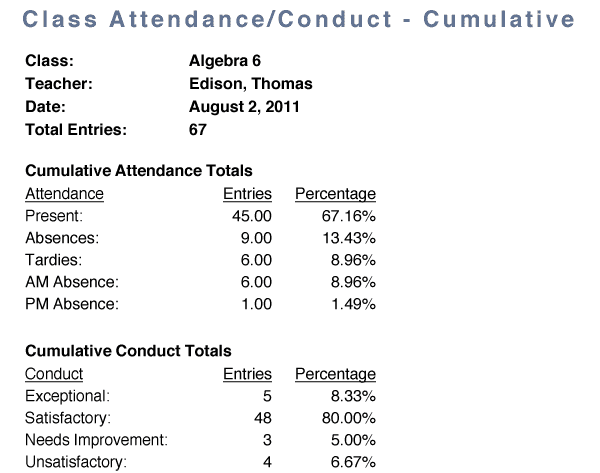 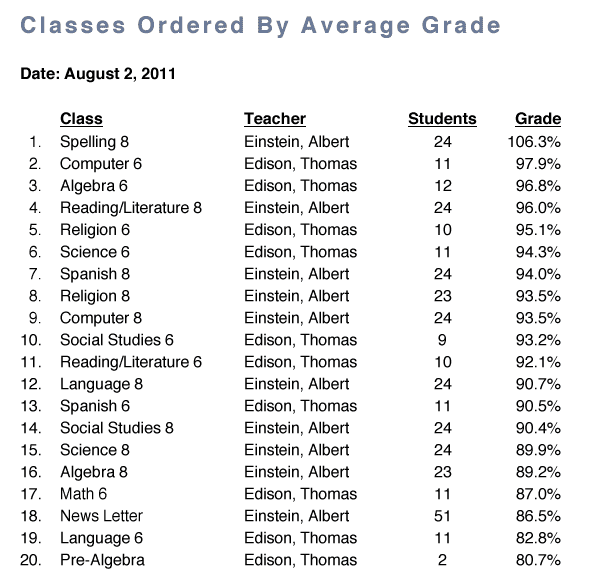 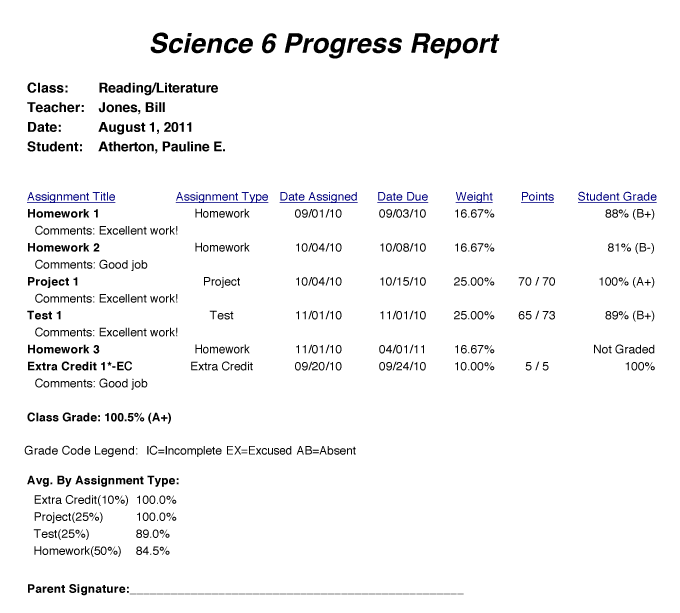 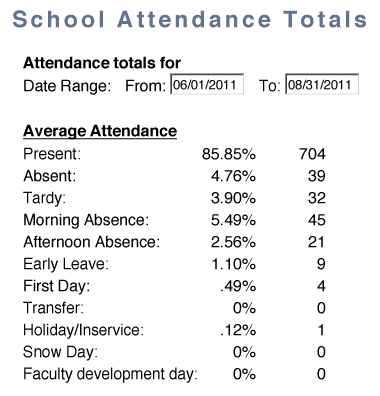 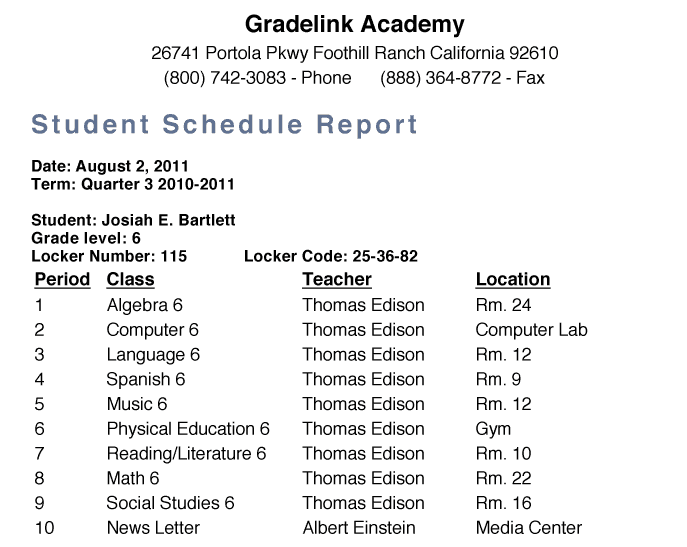 Gradelink has several semi-customizable report card styles to meet your school’s needs. 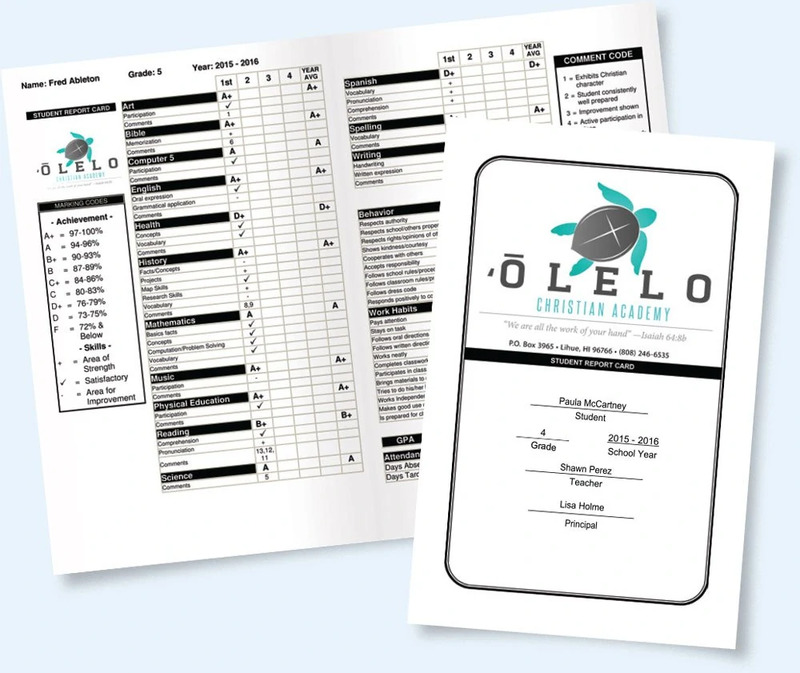 Choose from layouts like bifold, trifold or simple portrait oriented designs. 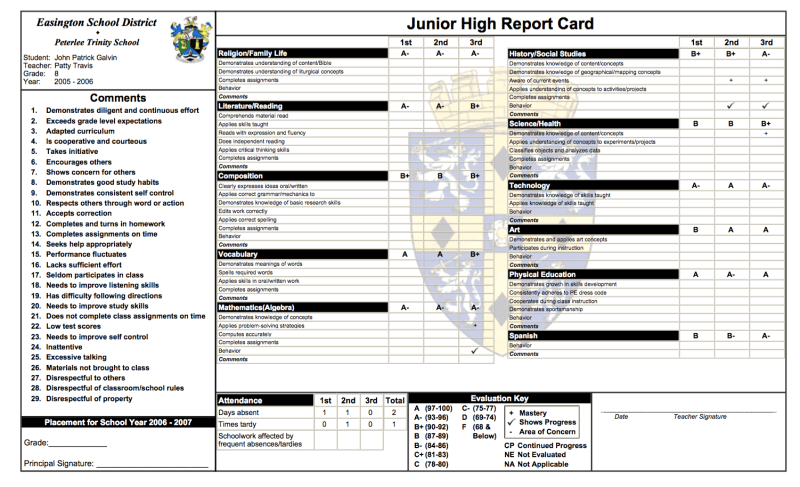 We have a report card that fits your school. 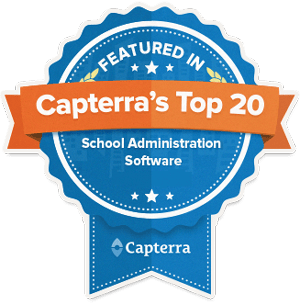 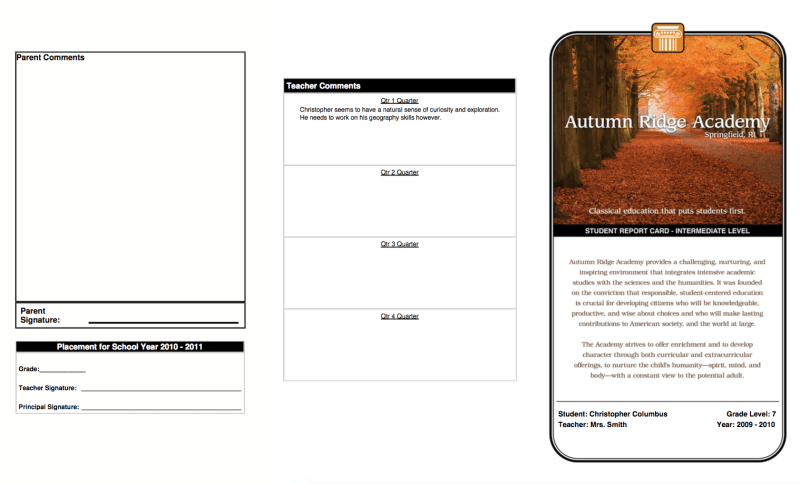 Chock full of advanced features like custom classes, custom grade scales, numbered and term comments, attendance, behavior, work habits, bilingual format and much more. 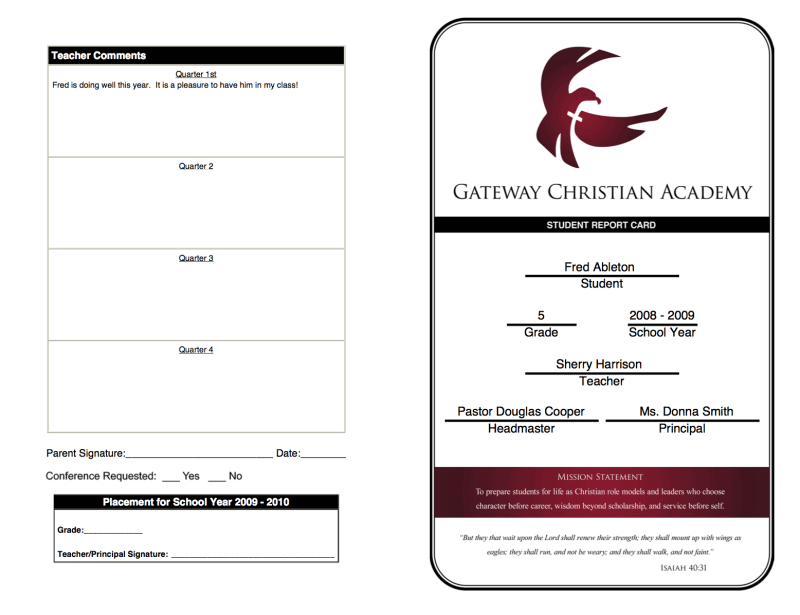 Even include your school’s logo or custom graphics. 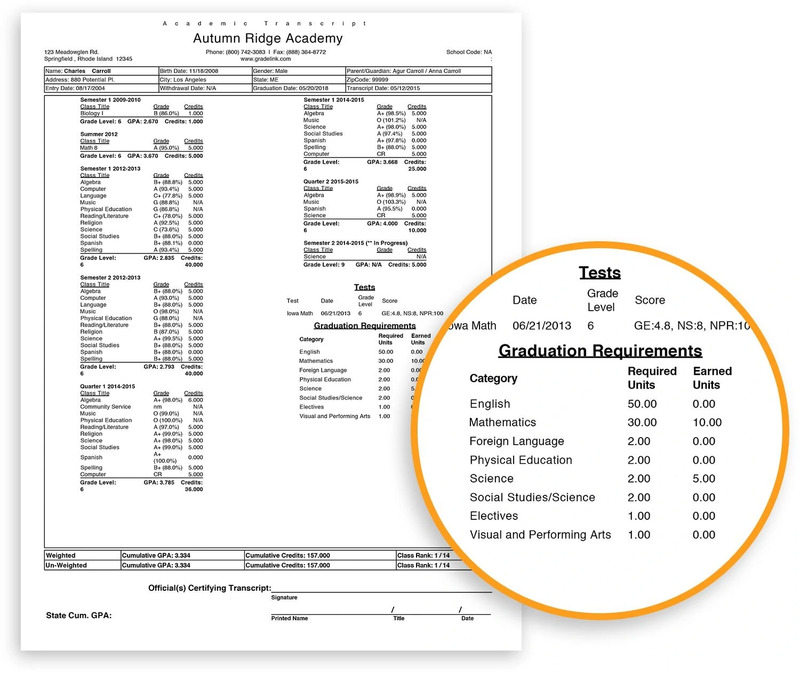 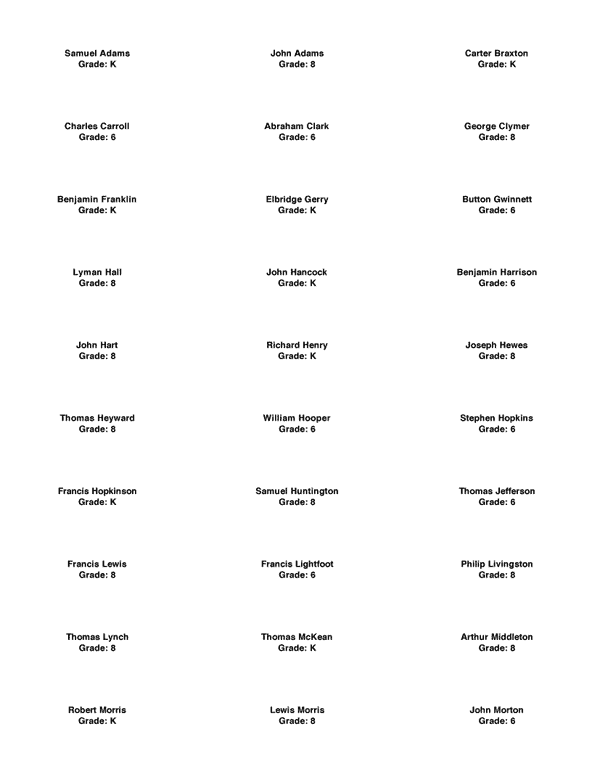 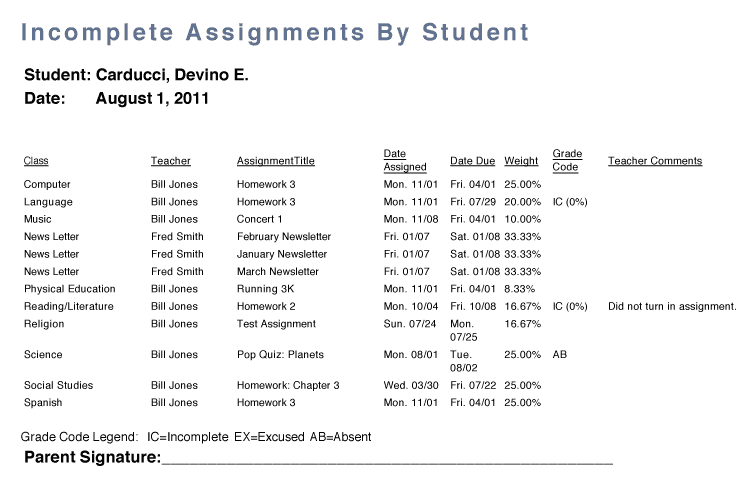 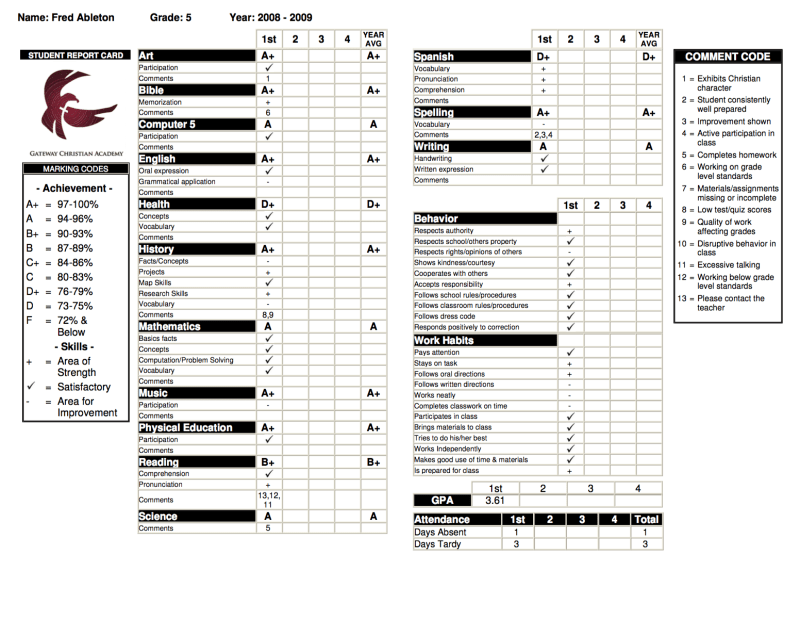 Download sample Gradelink report cards as printable PDFs. 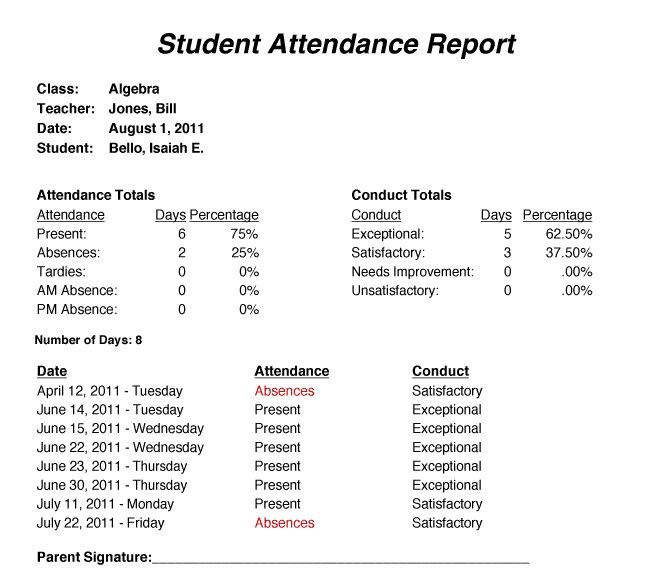 The icing on the cake is the report card system – it's a game changer and teachers LOVE the simplicity of creating report cards. 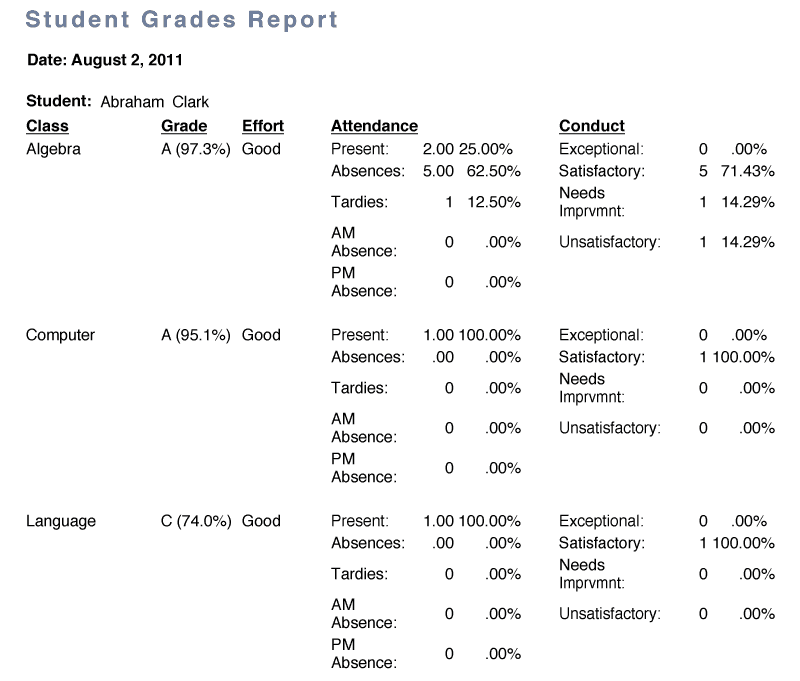 With Gradelink, report cards are just the beginning. 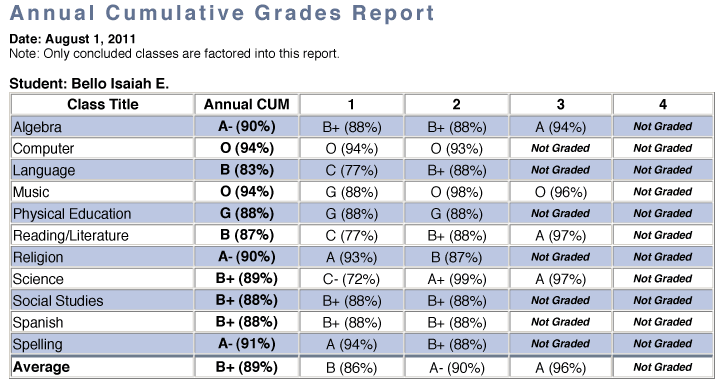 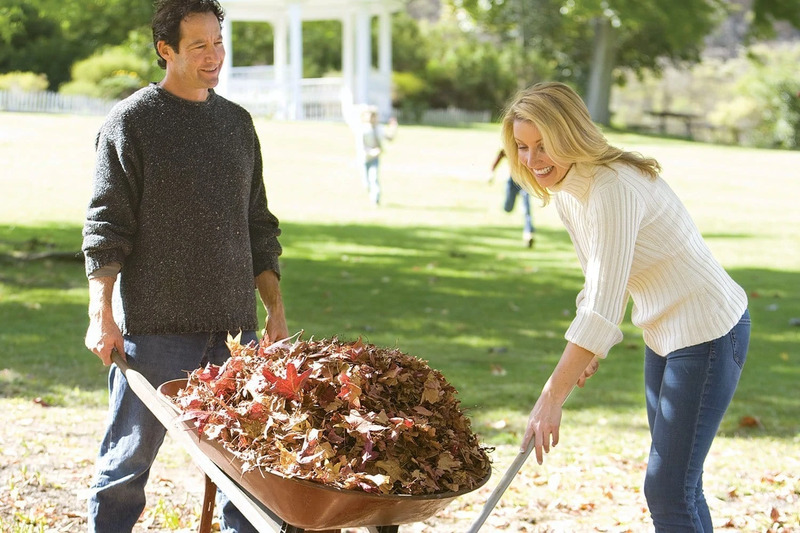 Browse through the list below and see some of the many reports we offer. 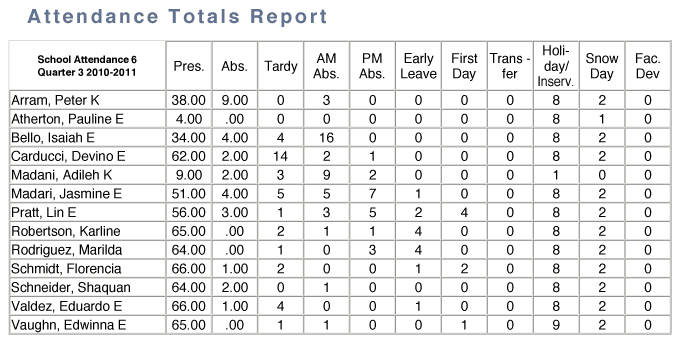 Click the image to view more reports. 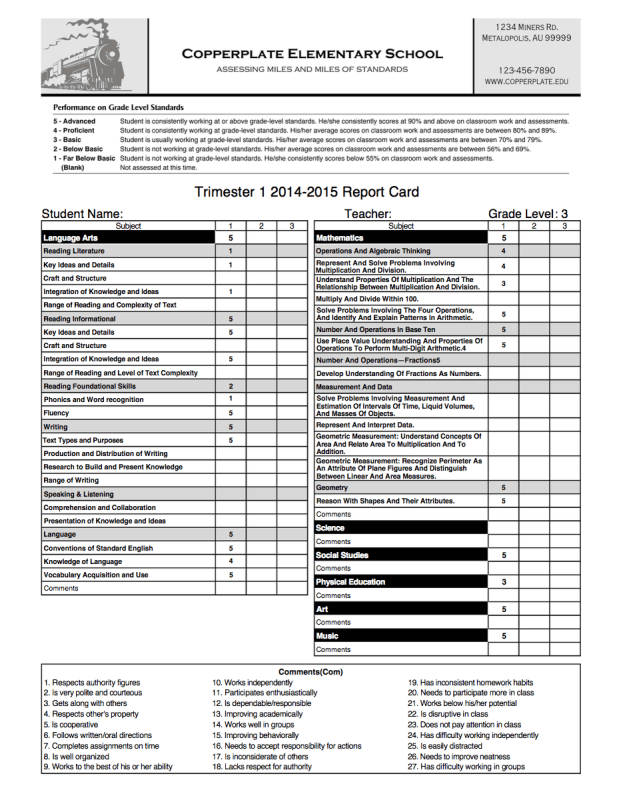 Download these teacher reports as printable PDF samples. 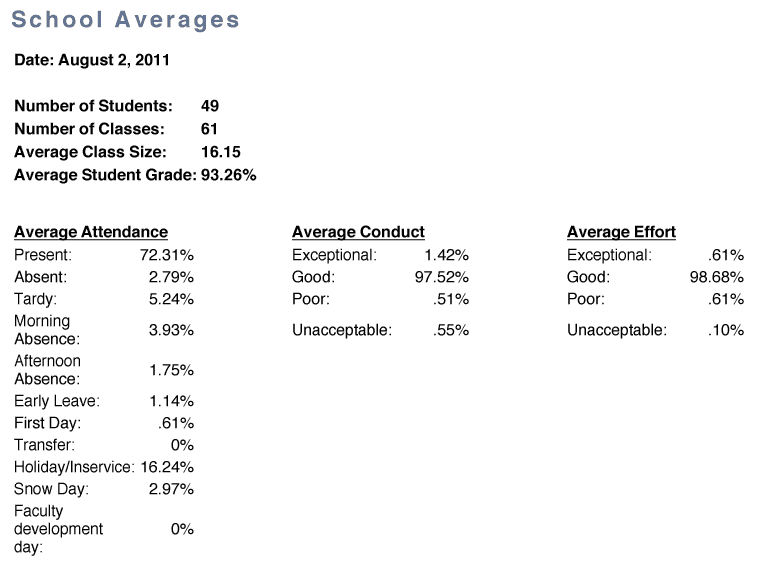 In addition to the above reports, the following are also available to Principals/Administrators. 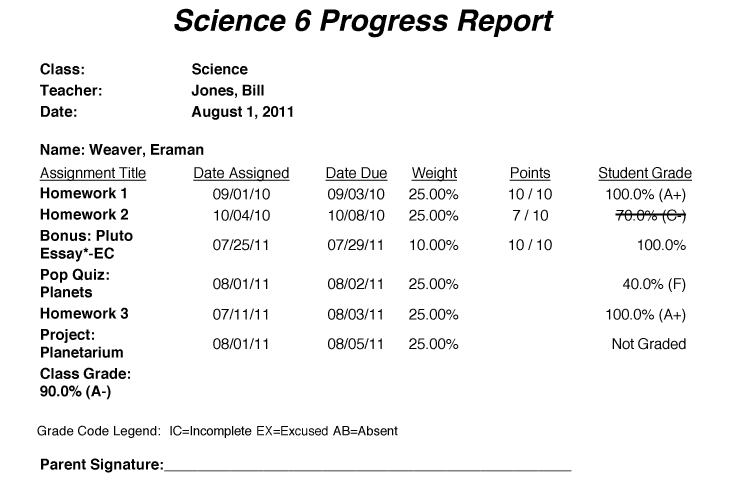 Click the preview image to view more reports. 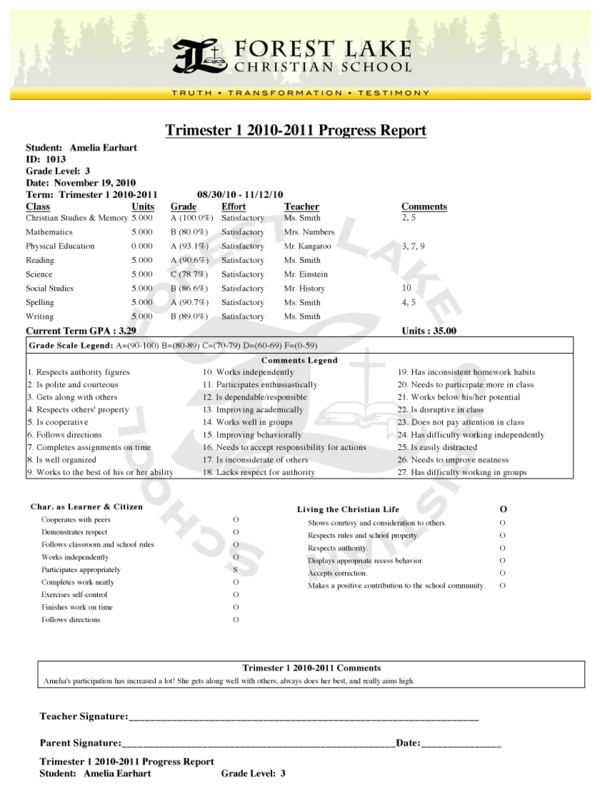 Download these reports as printable PDF samples. 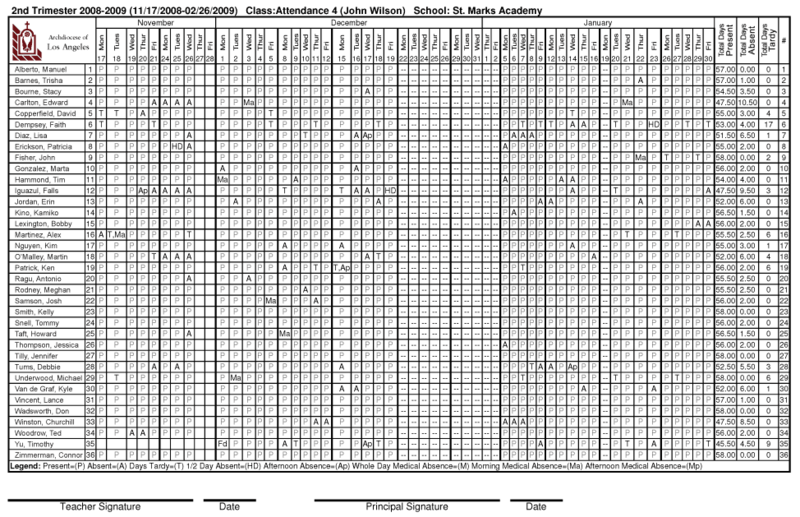 Click here for a complete list of reports. 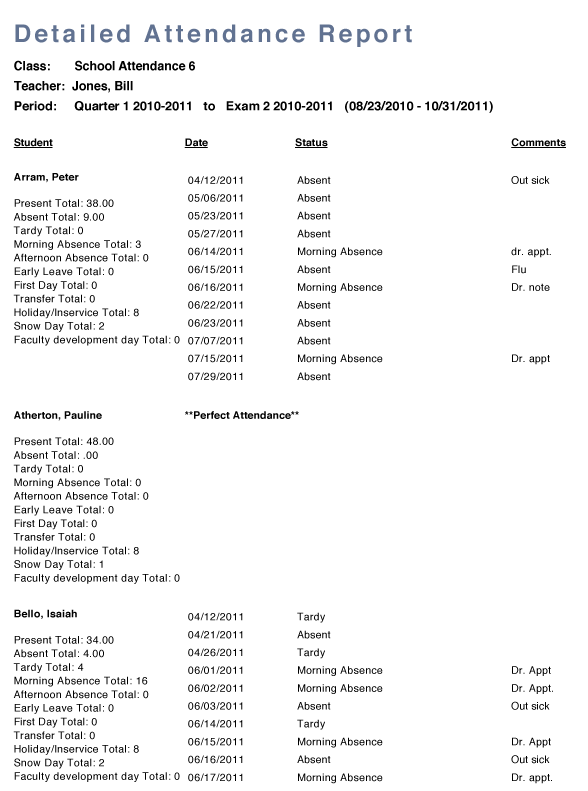 Very user friendly. 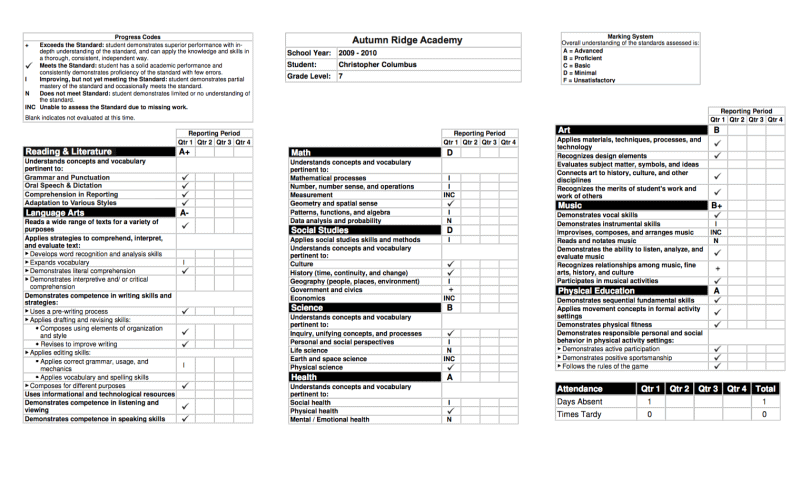 Just a few clicks and report cards are done – love it! 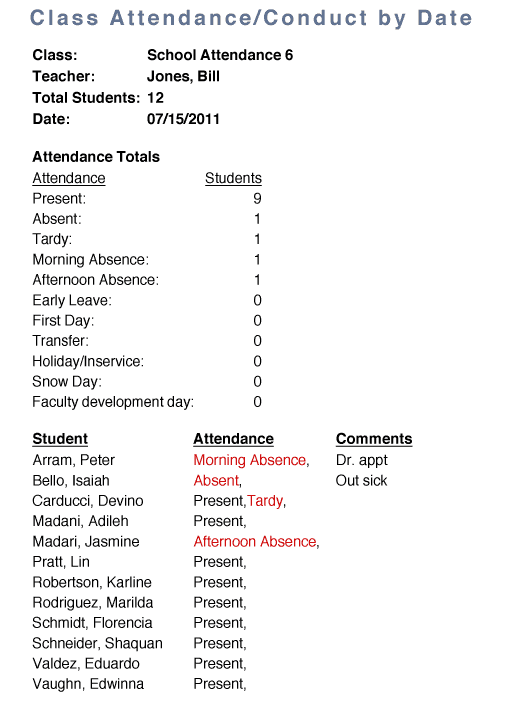 Gradelink has made generating report cards and transcripts easy. 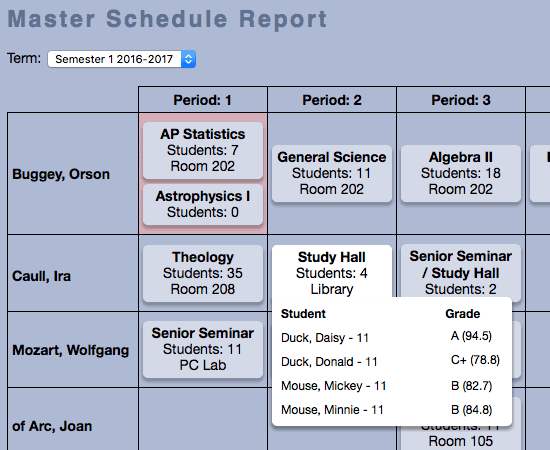 The Simple Teacher Schedule shows how classes are scheduled throughout the day for an at-a-glance view of your school’s entire schedule for every teacher. 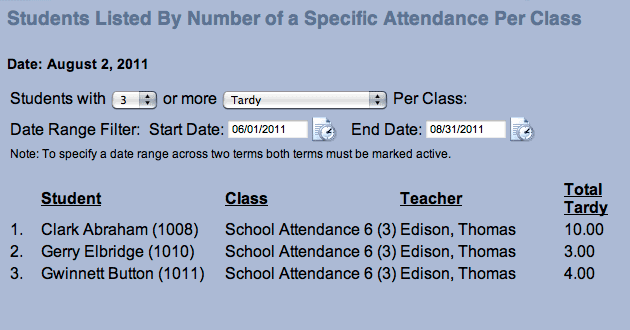 The Advanced Teacher Schedule shows teachers’ complete weekly schedules. 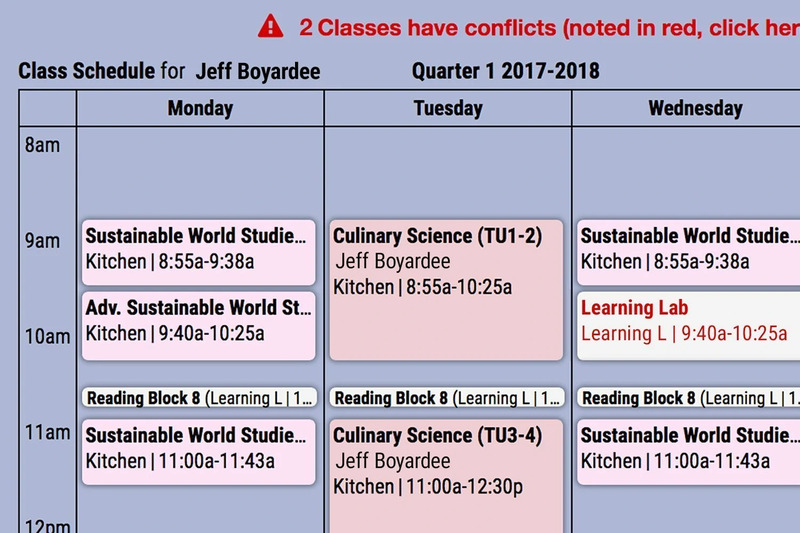 To prevent overlapping schedules, possible conflicts are displayed in red. 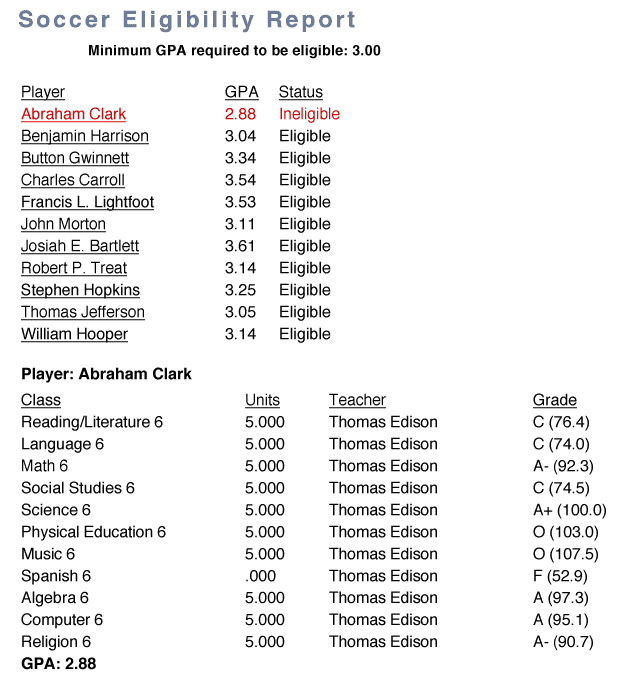 It’s a cinch to produce directories of students based on their grade level, current status, or just include all school families. 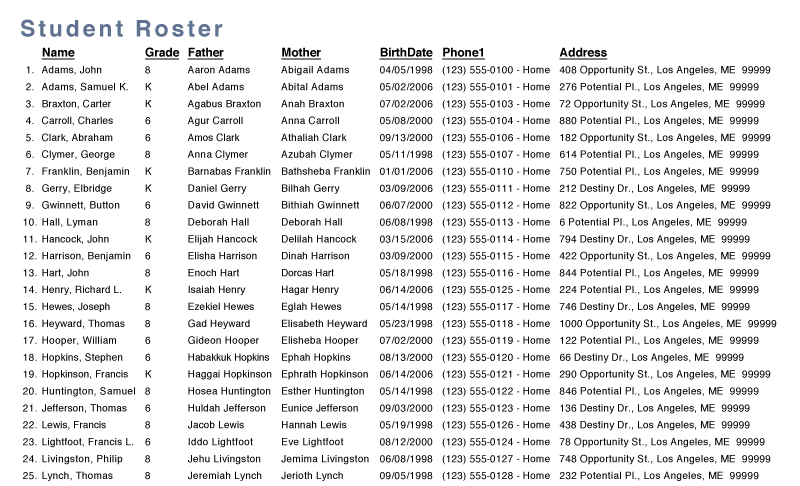 Select what information to display, including phone numbers, addresses, children’s names and ages, and more.